In March, April and May, the Sunshine State casts a towering shadow. Excerpt from an article in the 3/18 Produce Business written by Sara Novak. 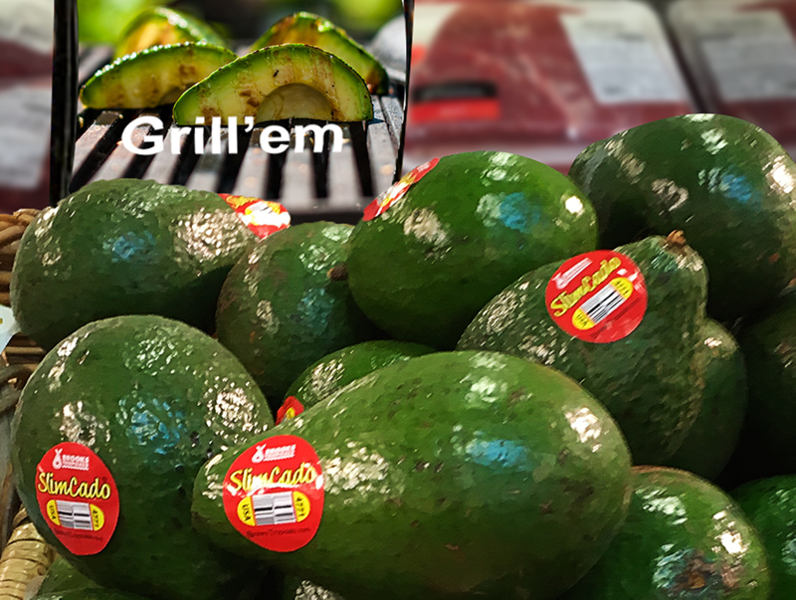 Brooks Tropicals’ Ostlund says giving consumers new ways to use avocados also helps inspire purchases in consumers who were unsure beforehand. Making avocado sauces and salsa to put on salads and proteins is a great place to start, “topping or tossing recipes with avocados are on trend.” She recommends a Slimcado cilantro topping (fresh ginger, cilantro, lime, garlic, extra virgin olive oil and sugar) for roasted chicken. Last year’s Hurricane Irma has put a dent in the supply of Slimcados marketed by Brooks Tropicals Inc. this season, but things could be worse, said Mary Ostlund, director of marketing for the Homestead, Fla.-based company. The hurricane, which made landfall in Florida last September, caused some damage to the large, green-skin avocados, “but the damage was less than what we thought,” Ostlund said. The hurricane will impact volume, she said in late July, but it was too early in the season to tell how much fruit will be lost. “We’re seeing flowers, and where there are flowers, there is going to be fruit,” she said. Brooks Tropicals started shipping Slimcados in late May, as usual. She said it was hard to say for sure whether prices would rise. “Right now, we don’t expect it to impact pricing,” she said. The company typically ships Slimcados from Florida until early March and also sources from the Dominican Republic almost year-round.